The Large Hadron Collider is the largest and most complex machine in the world, but it only took one adventurous weasel to shut it down in November of last year. The unfortunate fellow jumped over a substation fence and was hit by 18,000 volts of electricity. Now, its stuffed corpse is on display at the Rotterdam Natural History Museum. It joins a sparrow that was shot after it sabotaged a world record attempt by knocking over 23,000 dominoes; a hedgehog that got fatally stuck in a McDonalds McFlurry pot, and a catfish that fell victim to a group of men in the Netherlands who developed a tradition for drinking vast amounts of beer and swallowing fish from their aquarium. The catfish turned out to be armoured, and on being swallowed raised its spines. The defence did not save the fish, but it put the 28-year-old man who tried to swallow it in intensive care for a week. The stone marten has been a bit of a holy grail for Moeliker. 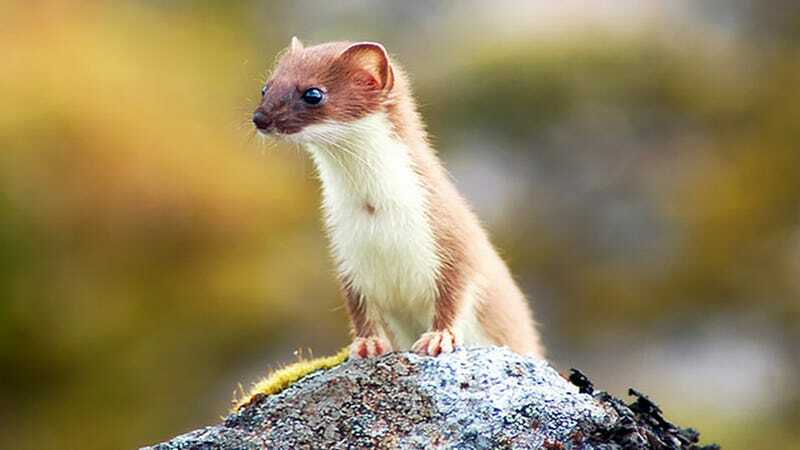 He first tried to acquire a different weasel that caused a malfunction at the LHC last April. Unfortunately for him, workers at the European particle physics laboratory had already tossed its remains. When the latest “Cern weasel” bit the dust, Moeliker jumped into action. The museum director says that he likes the poetic idea of a weasel colliding with the world’s largest machine and temporarily stopping it from doing its job of colliding the tiniest particles. “We want to show that no matter what we do to the environment, to the natural world, the impact of nature will always be there,” he says.